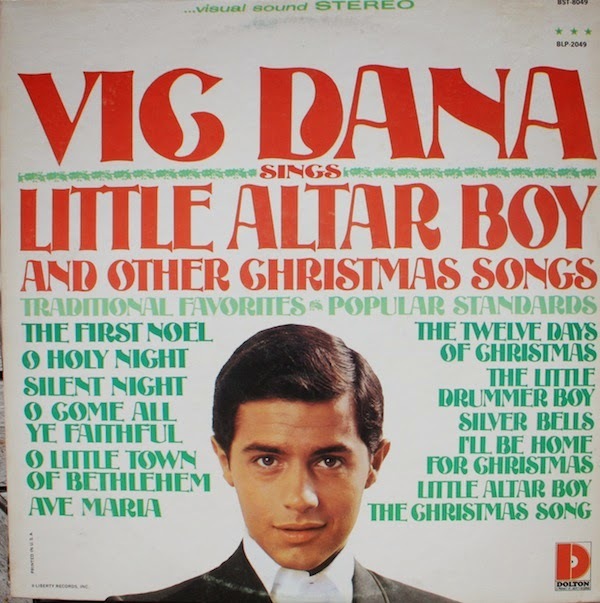 DEAR JERRY: Long ago around this time of year you wrote about Vic Dana's "Little Altar Boy," and how it inexplicably has become a Christmas classic, even though it has nothing whatsoever to do with Christmas, or any holiday or season. Now I'm curious about some of the other so-called Christmas songs that really aren't. DEAR JULIA: Unraveling that which causes curiosity is just one of my many services. Among the songs frequently heard this time of year, here is a qualifying batch that are, as you say, Christmas songs that really aren't. Most are about the weather or activities associated with winter. None mention or refer to Christmas; Yule; Santa Claus; St. Nick; Nativity; presents or gifts; "the holidays." "Let It Snow! Let It Snow! Let It Snow!" Even among these selections, "Little Altar Boy" stands alone as the farthest removed from any December or winter doings. DEAR JERRY: In October I bid on "Trying to Understand a Woman," backed with "Can't Keep Foolin'" (Mascot 121), by a group called Pango. Even though I wasn't the winner — it sold for about $60 — I do have questions about that record. The eBay seller did not provide an audio sample, but he described it as "Rare 1970s Latin funk." Would you agree? Is Pango a Jamaican or South American group? Do you know the exact year for it? Meanwhile, in my online search for Pango answers, I also found references to a Mascot 121 single by Motion. The tracks on their single are "What Is the Reason" and "One Afternoon." Is there just a typo on the site that I found, or did Mascot really use the same catalog number twice? DEAR C.F. : Geographically speaking, Arizona-based Pango was many time zones away from South America, as well as to the village of Pango. That Pango is a small community at the southeastern corner of Efate Island in the Republic of Vanuatu, part of an archipelago between Australia and Fiji. The Phoenix band Pango was led by Roy Figueroa, previously the front man for Roy and the Dew Drops (1965). It does seem doubtful that Figueroa chose his new group's name based on the Pango in the South Pacific. Latin funk is an appropriate description of this Hispanic group's style, and their 1973 Mascot recordings. As for why the duplication of release numbers, I asked Dwayne Witten, now the owner of most of the Mascot masters, and he has no idea why. Because Motion's Mascot 121 came out in 1968, and Pango's in 1973, Dwayne suggests, after five years, they may have simply forgotten what the next number used should have been. 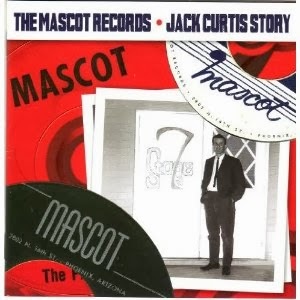 For more information about the great new CD album, "Mascot Records - Jack Curtis Story" (1958-1973), as well as to order, just head on over to Amazon.com and search their Music section for "Mascot Records." IZ ZAT SO? From my conversation with Dwayne Witten, I learned there is yet another Mascot record numbered 121. Gadzooks! As a member of another '60s band on Mascot, named George Washington Bridge (a.k.a. GWB), Witten recalls that the very first copies of Motion's "What Is the Reason" came with labels that mistakenly credited GWB. Dwayne still has one of those oddities in his collection, and he graciously sent me a label scan. The 121 GWB flub probably came about because the previous number (Mascot 120), "Butterball," really is by his group. I can't think of another example of three different records, involving three different groups, on the same label, all having the same selection number.